Everything done to advance—to earn ranks and other awards and recognition—is designed to educate or to otherwise expand horizons. Members learn and develop according to a standard. This is the case from the time a member joins, and then moves through, the programs of Cub Scouting, Boy Scouting, Varsity Scouting, and Venturing or Sea Scouts. Experiential learning is the key: Exciting and meaningful activities are offered, and education happens. Learning comes from doing. For example, youth may read about first aid, hear it discussed, and watch others administer it, but they will not learn it until they practice it. Rushing a Scout through requirements to obtain a badge is not the goal. Advancement should be a natural outcome of a well-rounded unit program, rich in opportunities to work toward the ranks. It is important to note, as with any educational opportunity, a rank or award is not the end of the learning process. In Scouting, after a requirement has been passed, the Scout is placed in practical situations that build retention through repeated use of skills. For example, he plays games that feature the skills, teaches other Scouts, and perhaps practices them in “real-life” outdoor experiences. A well-rounded and strong unit program takes advantage of these kinds of opportunities, using them to improve retention through practical application. Scouting skills—what a young person learns to do—are important, but not as important as the primary goal of personal growth achieved through participating in a unit program. The concern is for total, well-rounded development. Age-appropriate surmountable hurdles are placed before members, and as they face these challenges they learn about themselves and gain confidence. Learning Scout skills and concepts through active participation is a vehicle for personal growth, but it is not the primary goal. For example, learning how to tie a knot, plan a menu, swim, or administer first aid may turn out to be critical in one’s life, but they are secondary to the goal of personal growth that comes with learning. As a Scout learns a skill and then is tested on it, and reviewed and recognized, he develops confidence. He comes to realize he can learn and do other similar things. The retention of Scouting skills and knowledge is important, of course; but for retention to take place, it will be because Scouting skills and knowledge are used in our programs. Success is achieved when we fulfill the BSA Mission Statement and when we accomplish the aims of Scouting: character development, citizenship training, and mental and physical fitness. We know we are on the right track when we see youth accepting responsibility, demonstrating self-reliance, and caring for themselves and others; when they learn to weave Scouting ideals into their lives; and when we can see they will be positive contributors to our American society. Though certainly goal-oriented, advancement is not a competition. Rather, it is a joint effort involving the leaders, the members, other volunteers such as merit badge counselors or Venturing consultants, and the family. 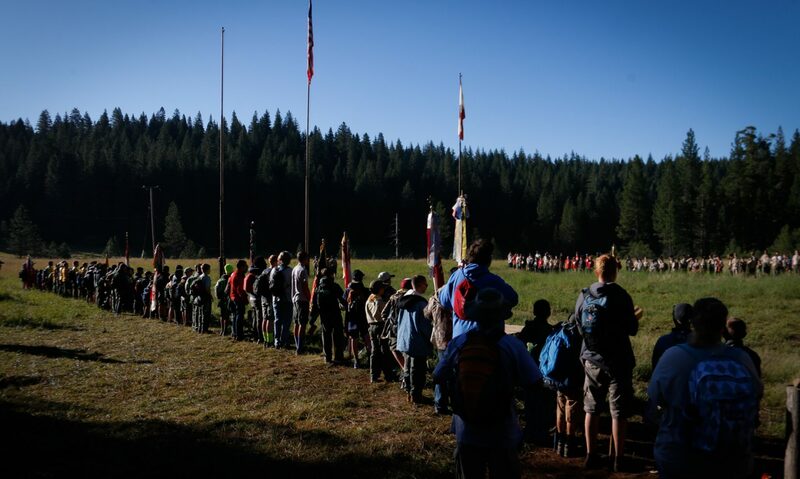 Though much is done individually at their own pace, youth often work together in groups to focus on advancement at Cub Scout den meetings, for example, or participate in a Boy Scout campout or Sea Scout cruise. As they do this, we must recognize each young person’s unique combination of strengths and weaknesses. As watchful leaders, either adult or youth, we lend assistance as called for and encourage members to help each other according to their abilities. Previous PostPrevious Fall Family Camp is Coming! Next PostNext Wilderness First Aid – What and Why?